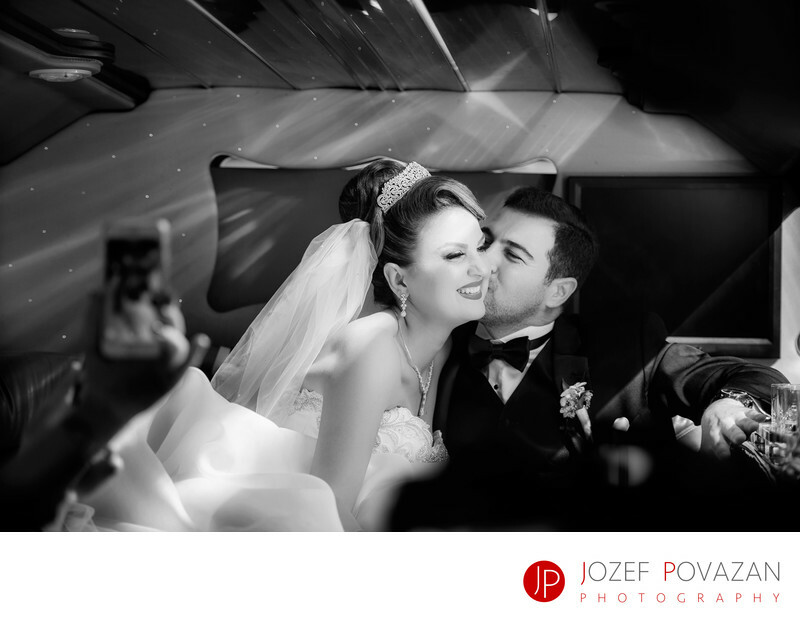 Persian Wedding Couple driving in Limousine to Sutton - Best Vancouver wedding photographer Jozef Povazan Photography studio. Persian Wedding Couple driving in Limousine to The Sutton Place hotel from Stanley Park creative photo session. Unique, edgy, fun wedding stories for brave brides and grooms who see photography as an art.